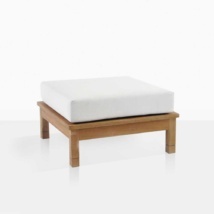 Alluring, tranquil and comfort down to a tee! 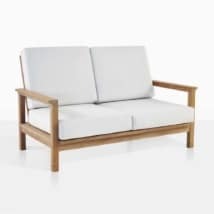 The St. Tropez Outdoor Sofa is an ideal purchase for those who like to lie out after a long days work and who like to host their friends in a stable, tranquil environment. W84" x D37" x H37"
Creating an ambience of stillness and comfort; this solid A-Grade teak outdoor sofa suits both traditional and modern environments, and can accommodate all spaces, big or small. 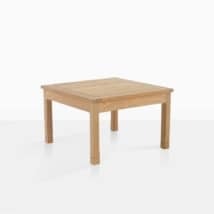 The major focus in our class St. Tropez Collection; established collection in Teak Warehouse, it’s design is effortless, simple and solid. Featuring a seemingly airy frame with a carved detail on the base, beautiful slatting, an angled back for extra comfort, and a light flare on the arms of each piece creating an all round handsome, stately piece. The St. Tropez Outdoor Sofa sits at an impressive 84 inches long, perfect for outdoor entertaining or for draping yourself over this divinely comfortable couch! 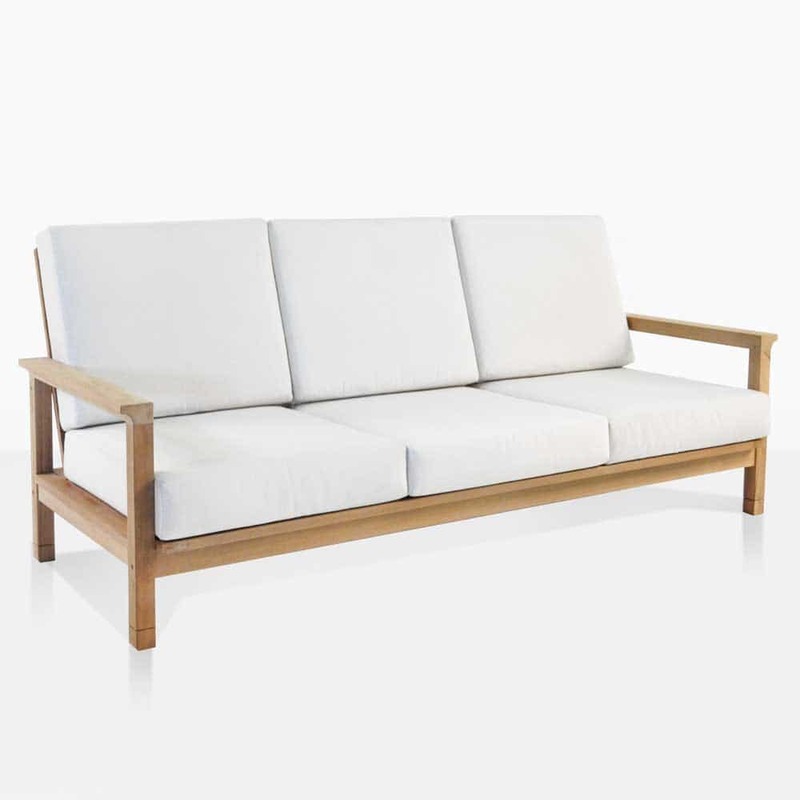 Place the Sofa in the middle of your courtyard, adjacent to it, place a Loveseat and two Teak Outdoor Lounge Chairs. 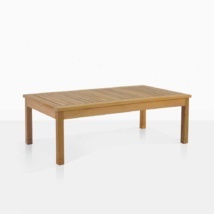 A St. Tropez Coffee Table in the center and you’ve got a space fit for many Kings and Queens! 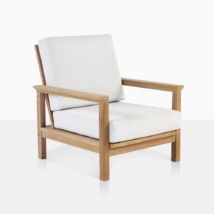 The St. Tropez is made from our signature product A-Grade Teak, a stunning wood that is known for its durability and hard wearing. This 3 Seater Outoor Sofa is decked out with plush Sunbrella® cushions in your choice of Taupe, Coal or Canvas or personalize your space with a custom color.